Ever dreamed of a minimap / radar device to check where friendlies are? Or a command / observation module like you see in the movies and video games? Well that dream has now become a reality with the T-Cube MT1268 Motion Tracker Unit. 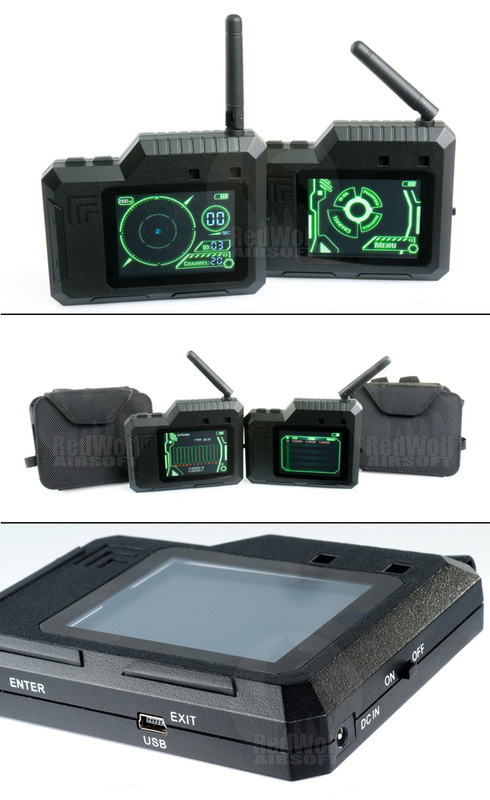 This is the ONLY device of its kind available for civilian use Exclusively Available From RedWolf Aisoft, Motion Tracker's official worldwide distributor. The MT1268 motion tracker from T-Cube is essentially a small, lightweight GPS device utilizing satellite technology to find its own position but then using UHF radio signaling to report its position to other motion trackers in the area. Since it uses free GPS signals, the use of this device does not require any subscription to any service and therefore does not cost anything to use. The active interface can connect with up to 10 unique users per channel with 20 available channels. The range of communications between two devices is half a kilometer. The device features a 5-digit password coding system meaning that even sharing the same channel with another user with a different code will cause no crossover and thus not see one another. As such, passcode protection can be used to isolate different games from one another or different teams within a game or even different squads within a team. 10 users per 20 channels with a 5-digit code give for 20 million possible unique users. The interface switches scanning radius and scale from 500m to 300m to 150m; accurate to within 10m with position updates every 2 seconds. With a 6 hours internal battery and convenient MOLLE pouch, the device needs to be aligned to north for proper vectoring but the simple interface means that with practice, using it without proper alignment (as long as the operator is aware of North) is easily possible. With today's market range of stand-alone GPS devices running from US$200-600, the motion tracker is on the cheaper end of the scale and yet offers functionality totally unique to anything outside of military circles. Features include tracking of up to 9 other teammates on the scale adjustable screen (150 meters, 300 meters, and 500 meters). Synchronized countdown function allows the team-leader to start a count-down timer on teammate's screens so that everyone can attack or take a particular action once the time reaches zero. The timer function can be set to 15 seconds, 30 seconds, 1 minute, 5 minutes, 15 minutes. An SOS function (holding down the MODE button for 3 seconds) will set your dot to red on teammate's screens so they know you are in trouble. Comes with a nylon pouch that allows you to mount the device onto your chest through a molle system. The pouch is designed such that you can open it up and see the screen, and then close it back up with one hand when you are done. This double pack set includes 1x MT1268 Motion Tracker Unit, a nylon carrying pouch designed to be mounted on a Molle system on your chest or your arm, a multi-voltage charger, and an English instruction manual. Future accessories will become available for this device in the coming months, including mounting brackets on RIS rails and other great accessories! The tracking function requires 2 to 10 units to work. If you do not currently own any Motion Tracker Units, or you do not know anyone else with a unit, you should purchase the Dual Pack version. Price : USD$250.0 за пару.